The lush & relaxing 34-room boutique hotel is modern & sleek featuring imported Italian linens, flat screen TV's, fireplaces, poolside & private patios, salt purified pool and garden courtyard. Amenities include complimentary coffee/espresso, juice, fresh pastries, and townie bikes. 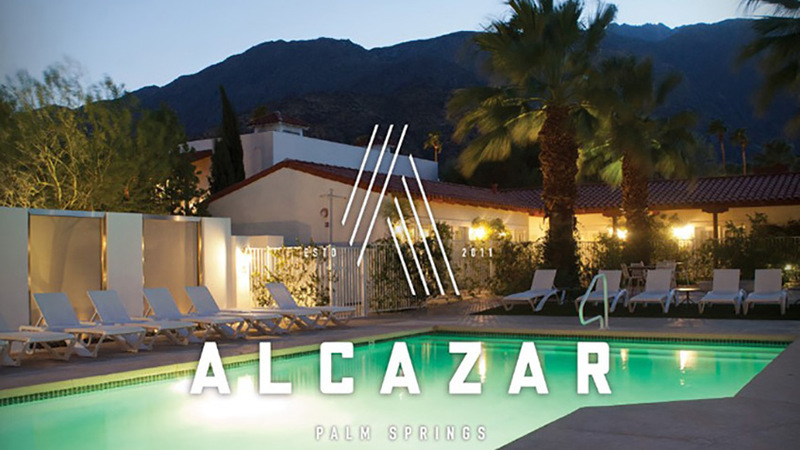 Alcazar also boasts two acclaimed restaurants on property; Cheeky's and Birba.